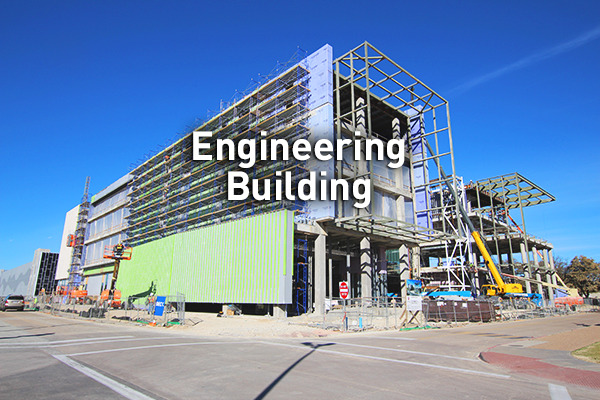 These photos show the construction of UT Dallas’s new Engineering Building. The building will be four stories tall and contain research labs, instructional labs, computer labs, classrooms, and an advising suite. The building will also feature a food court and a 300-seat auditorium. Construction is expected to be completed in the summer of 2018.